Beaufort, SC has been used in film for decades due to its local feel, beautiful landscapes, and historical background. Some notable films that were shot in the Lowcountry of Beaufort, South Carolina include: Forrest Gump, Prince of Tides, The War, The Big Chill, The Great Santini, Jungle Book, White Squall, and many more. Watching movies in the theater is one of America’s favorite past times. 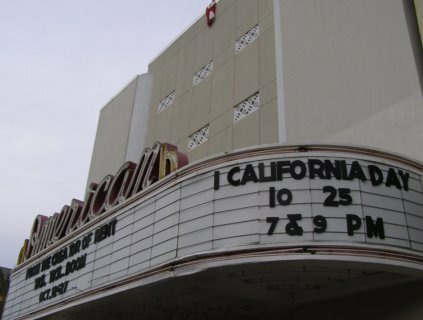 Beaufort, SC has several options for catching new films whether you prefer to watch at one of the states only remaining drive in theaters or a traditional cinema, our quaint town has some options for you. The Plaza Stadium Theatre is a small family owned cinema with 5 movie screens and plenty of refreshments for the family. At the Plaza Stadium Theatre in Beaufort, SC, you will find the latest box office hits for a reasonable price. Wometco Enterprises (also known simply as Wometco) is a company headquartered in Coral Gables, Florida; a suburb of Miami. It was a large media company but today it is known only as the owner of the Miami Seaquarium.